On November 12th Rocky Mountain College had a Luncheon for the student and faculty Veterans on campus. Jill Washburn, RMC community service coordinator, organized the event. RMC is designated as a military funding school and we need to do things for our veterans now, said Washburn. Washburn said, Taking action for these veterans is something she wants to do. The more we can make the veterans comfortable the more success the veterans will have at RMC. 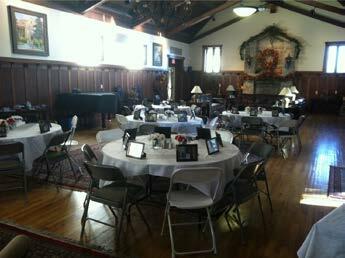 RMC supplied a free lunch for the veterans in the Great Hall. The veteran students, faculty, and staff were allowed to eat lunch and dessert as well as just hang out and talk with each other. Melissa Smith, a sophomore in the equestrian program, was the youngest veteran in attendance. Smith said “It was nice to see not only students but staff.” Smith also said that is was nice to be around a more mature group of people that can offer her relevant advice. Thomas Hitzginger, a senior in sociology, is a veteran but not from the United States. Hitzginger is a veteran from Austria. “There are a lot of amazing people around here. I think it is great the States honor them.” Hitzginger said. 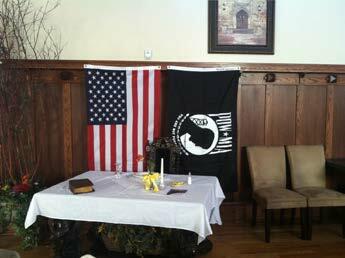 RMC is trying to stay authentic by doing this luncheon out of kindness for the veterans. Before the lunch many of the veterans never knew who the other veterans on campus were, said Washburn. RMC has been working to have more opportunities for veterans on campus. There is a new orientation for veterans as well as several of these luncheons throughout the school year said Washburn.